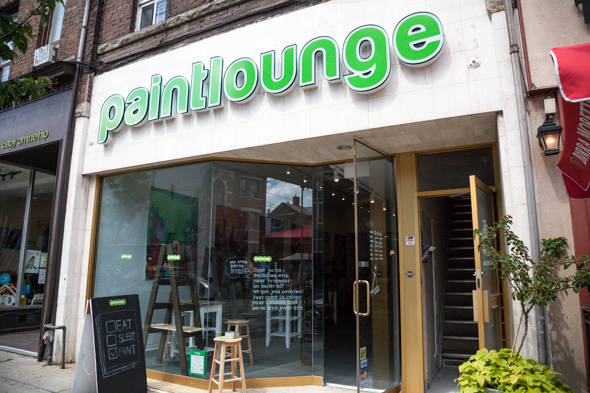 Paintlounge is unlike any other Toronto lounge. Instead of bar stools, there are easels. Instead of cocktail attire, there are smocks. And instead of splashing drinks, you're splashing paint. 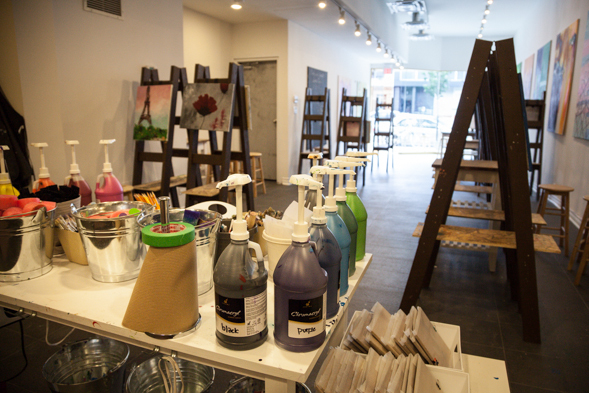 The studio/lounge is located at 784 College Street and provides you with all you need to get your paint on. That includes sponges, knives and even toothbrushes. And no, they're not for you to aimlessly jab at your canvas and hope for the best. The staff teach you simple painting techniques, including how to use the toothbrush in order to get an evenly paint-splattered effect. 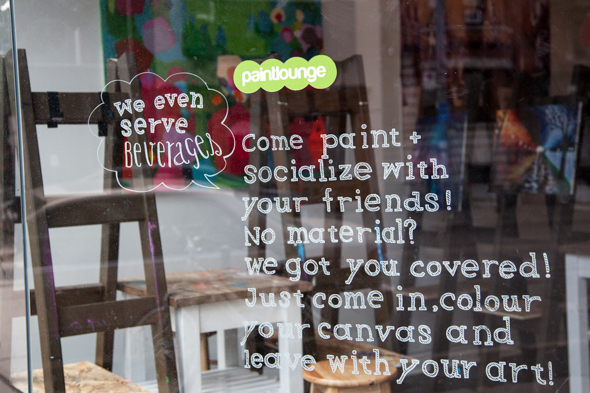 The lounge launched when an engineer-turned-banker turned painter. 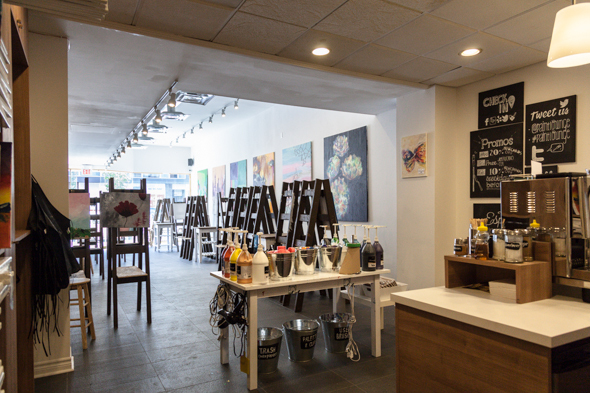 Samantha Chan is the owner, operator and, as she calls herself, the chief paintlounger. 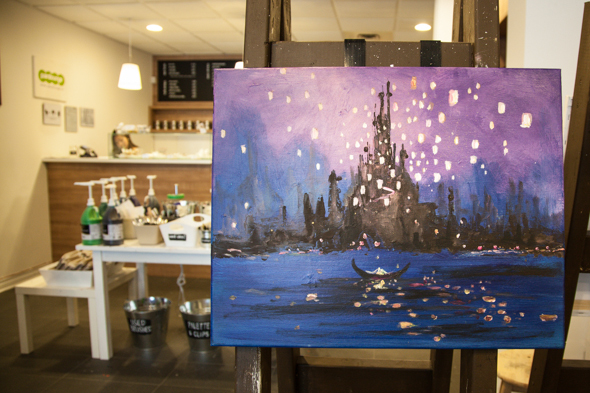 She opened the first Paintlounge in Markham two years ago when she realized she wanted to pursue her passion for art. Last month, the Toronto location had its launch party. Both spots have a laid back atmosphere. "It's meant to be a place to express yourself, relieve stress and have fun," said Chan. 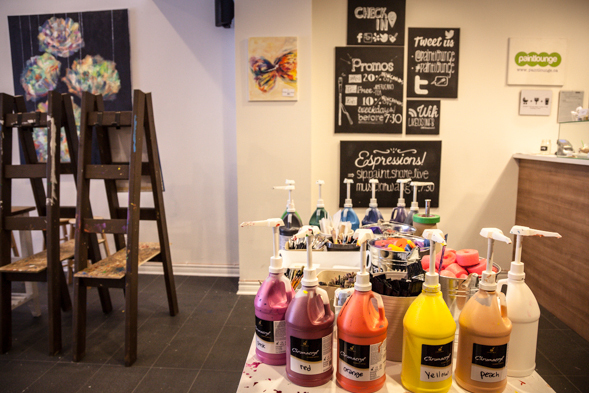 Along with encouraging artistic stress release, Paintlounge sells a variety of gourmet mix-and-match teas. And so, the creative process (and unwinding) continues. If the mellow art scene isn't for you, don't rule out the space just yet. The bright room with high ceilings transforms to host bachelorette parties, kids hours and date nights. On a regular day, all materials are supplied with the purchase of a canvas. Prices range from $20 to $55, depending on the size. Each canvas can be shared by up to three people. But painting on your own isn't tough. I had to pry myself away from my personal creation an hour past my planned departure. And at this lounge, you will never be leaving alone.